Have you been wondering what bitcoin is? Have you ever thought of trading bitcoin and making good money just from the comfort of your home? 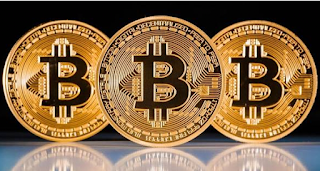 Bitcoin is a cryptocurrency, which means it is an online digital medium of exchange. Bitcoin is not a currency owned, controlled or regulated by anyone. It is also very important to note that bitcoin isn't a ponzi scheme, though you may get duped if you are not careful enough. Bitcoin is a legit digital currency you can use in making payments worldwide. 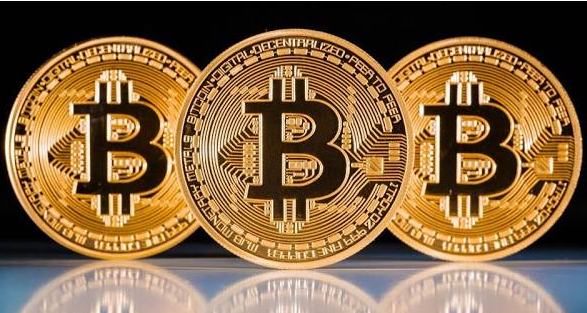 To earn bitcoin you have to mine it, because the amount of bitcoin in circulation today is regulated and every transaction carried out are entered into the public ledger called blockchaain. To confirm how secure the system works you can't make use of the same bitcoin more than once. So the functions of a bitcoin miner is to confirm, and after confirming, they earn. The reward is how you make your bitcoin. When you make up your mind on starting a bitcoin business, the first thing you should do is getting a bitcoin wallet. There are different websites where you can open a bitcoin wallet, i reccommend Coinbase or iQoption. To start making bitcoin you can offer services to individuals or companies and ask for payment in bitcoin. Most ecommerce sites today accept bitcoin as a means of payment for goods. Another way you can make bitcoin is to take online surveys and get rewarded in bitcoin. Popular sites that offer this service are coinAd, CoinWorker etc. In mining bitcoin, your system locates new blocks and add them to the blockchain. There is a reward for every block your system locates. Get a PC(system), install a mining software and start mining. Though this process is tedious and less profitable Because the amount you earn from depends on how fast your computer solves the mathematical problems it needs to, (Such a problem is called a “Hash”) measured in MH/s (Mega Hash per second), GH/s (Giga Hash per second) etc. Secondly, look for fellow miners and join a mining pool. When you team up with other miners, you mine more efficiently. Worry not, you are paid individually when you join a mining pool. The only disadvantage is that there is a limited amount of bitcoin to mine, soon the 21 million bitcoin available to mine would be exhausted due to more miners and competition. Though its worth trying. For every transaction made as a bitcoin miner, there is a small amount of fee attached. You can trade bitcoin just like your forex, stock etc. You can buy bitcoin at a time or a platform where it is cheap and later sell when the price goes up. In Nigeria, sites like Nairaex, Remitano, Luno etc offer the platform where you can buy and sell your bitcoin. There are digital banks online where you can signup, deposit your bitcoins and then allow these banks to lend out your bitcoin with an expected interest rate on your bitcoin. Do you know there is a limit to the amount of bitcoin that can be mined? yes there is! That's 21 million btc, so why not make up your mind to invest in bitcoin today? A bitcoin today is over $3750. I advise you buy bitcoin now, because it will only yield more value as time goes on.